Pasifika-run small businesses are urged to take the opportunity to learn more about the Government assistance available at the first-ever Pasifika-focused Small Business Roadshow. 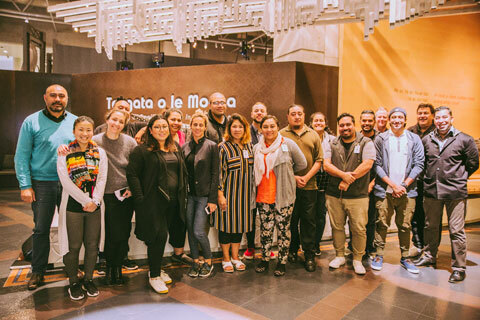 The 2018 Taking Care of Business events resume this month and, for the first time, a dedicated event for Pasifika businesses will be held in Auckland. The roadshows bring the private sector together with representatives from government agencies to explain what they do and how they can help small businesses. Small Business Minister Stuart Nash says giving every small business in New Zealand the tools and confidence to meet their potential, and realise their goals as a business, is a priority of the Government. “As well as playing a regulatory role the Government offers a range of services to help businesses be successful. We help owners and operators tap into these resources,” Mr Nash says. “Whether a small business is worried about meeting health and safety legislation, tax or ACC obligations, or if they want to find help to grow their business, they have someone they can talk to directly,” Mr Nash says. “There will be opportunities to ask questions and have face to face discussions. Expert advisors will be on hand with practical information. For example Immigration New Zealand will discuss how to find, bring and keep the best skilled migrants when a business can’t recruit within New Zealand. Regional Business Partners’ Growth Advisors will explain how they can help a business connect with the right resources and experts to build capability and grow, and IPONZ will explain different types of intellectual property and give some simple tips,” Mr Nash says. The Pasifika event in Auckland will be hosted by Minister for Pacific Peoples Aupito William Sio. “There is huge potential within the community to either start up or scale up small businesses,” Mr Sio says. “Pasifika entrepreneurs are only a small proportion of all small to medium business owners in New Zealand. Within the Pasifika population, 4.7 per cent of people describe themselves as self-employed. “There are some great Pasifika businesses out there. Soil and plant foods firm Pacific Biofert has achieved some amazing successes over the 30 years it has been in business and in the last two years social enterprise Moana Research has seen rapid growth, with its passionate researchers and clinicians focused on ensuring families have access to essential services and resources during pregnancy. “New Zealand’s economy is set to change in the coming years which will present opportunities and challenges for Pasifika businesses large and small. “This event is a great chance for the Pasifika community to hear directly from government agencies about the resources and advice available to help small businesses spend more time doing what they do best so they can grow and thrive in future. “Government agencies do a lot for small business, whether it’s providing advice on compliance or ways to improve innovation, growth and productivity, and it is important our business people are tapping into these services,” Mr Sio says. Taking Care of Business – Pasifika will be held Vodafone Event Centre, 770 Great South Road, Manukau, Auckland, Thursday August 23 , 4pm.